Experience Reno’s most luxurious resort rooms. Designed to inspire, your guest room features distinctive décor, contemporary furnishings and unparalleled amenities. Oversized windows fill the room with natural light, and showcase breathtaking views of the city or mountains. Seamless in-room technology allows you to easily connect your laptop directly to the 42” HD flat screen TV. 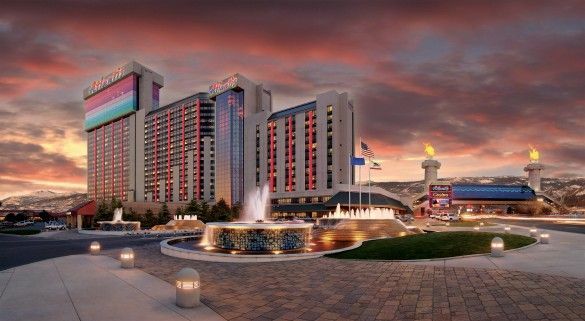 Upgrade to Reno’s only Concierge Hotel Tower. Treat yourself to VIP check-in, butler service and an exclusive lounge, serving complimentary continental breakfast and afternoon hors d’oeuvres. Atlantis has rooms with amenities to suit anyone, from the vacationing family, high roller or business traveler. Atlantis is honored to be a recipient of the distinguished AAA Four Diamond award. This prestigious recognition signifies the beauty and attention to detail eminent throughout the entire resort. Less than five percent of the nearly 31,000 properties approved by AAA achieve this coveted designation.